unutki.org offers teachers the opportunity to create an electronic component for their classes. You can post assignments, communicate with parents, give your students access to class-related discussion boards and other materials, and more! The software is in its beta version, and you have the opportunity to use it with your classes, FOR FREE. Any updates made in the course of beta testing will automatically be included in your MyClass materials, and the FAQ sheet says that your membership is perpetual (unless you terminate it). No need for any special software or computer equipment; no need for knowledge of any special programming or HTML languages. All you have to do is work with text; the MyClass software does the rest. ALSO: Check out our Information Quality page! It links to Web sites that can help you and your students learn how to evaluate what’s on the Internet. Many of the resources that you will find on these pages have been produced by the Office of Educational Research and Improvement (OERI) and the major OERI-funded institutions (Centers, Labs, ERIC) have produced a substantial body of educational research and development information. In the last few years, there has been a concerted effort to make this information accessible in useful forms beyond the academic research community. Education Consumer Guides and Education Research Reports are two series of publications that were produced in the past within the Office of Educational Research and Improvement (OERI). The sites are no longer being updated, but are still available for browsing. You may find links broken, but overall you may find the sites still useful. The OERI publications are brief, research-based explanations of current concepts and topics such as school-based management and cooperative learning. Every year, the Educational Resources Information Center (ERIC) produces more than 200 ERIC Digests–two-page syntheses of the best, most current research on a topic. Topics covered are determined largely by the questions most frequently asked of the sixteen subject-oriented ERIC Clearinghouses. A full-text searchable collection of 2,001 ERIC Digests is maintained at the Department of Education. ERIC’s Comparative Search Engine chart shows four ERIC databases, the types of documents contained in each one, possible search operators and fields, and information on the capabilities of each database’s search engine. AskERIC Lesson Plan Collection contains more than 1,000 unique lesson plans which have been written and submitted to AskERIC by teachers from all over the United States. AskERIC Web Site: AskERIC has redesigned its Web site. New features include a monthly electronic newsletter, a “simple search” interface, an archive to previously asked questions, and more. In response to questions received at AskERIC, their network information specialists have compiled over 3000 resources on a variety of educational issues. This collection includes Internet sites, educational organizations, and electronic discussion groups. Education Listserv Archive includes archives from several education-related mailing lists. Individual list archives can be searched by date or by thread. The archives may also be searched using PLWeb information retrieval software. Within each mailing list’s archive are forms to search just that archive. Gateway to Educational Materials (GEM): The Gateway is a consortium effort to provide educators with quick and easy access to the substantial, but uncataloged, collections of educational materials found on various federal, state, university, non-profit, and commercial Internet sites. GEM is sponsored by the U.S. Department of Education and is a special project of the ERIC Clearinghouse on Information and Technology. The Gateway to Educational Materials, the ultimate online catalog of Internet-based lesson plans, curriculum units, and other educational materials, was recently expanded. Resource Guides Online: These resource lists are provided as a complement to ERIC’s Frequently Asked Questions (FAQ) section. They include information on free relevant ERIC/CLL publications, publications from other sources, Web sites, organizations of interest, and conferences. The guides also offer useful searches of the ERIC database with information on ordering ERIC documents. The ERIC Clearinghouse on Languages and Linguistics recently added three new guides: Linguistics, Second Language Proficiency Assessment, and Dialects in Education. Searchable Online Thesaurus of ERIC Descriptors: The ERIC Processing and Reference Facility has added a searchable version of the Thesaurus of ERIC Descriptors to the “Resources” section of its Web site. Search by keyword, category, or a combination of both, or browse the more than 10,000 descriptors in the Thesaurus. Bookmark the Thesaurus today! 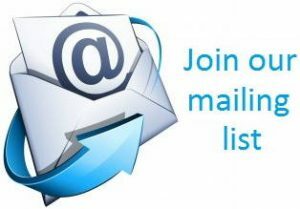 The following list includes selected education-related mailing lists along with information on how to subscribe. This mailing list announces positions in educational research. management issues such as overcrowding. The volume of messages is light to moderate. The ERIC Education Listserv Archive gives topic and subscription information as well as links to each listserv included in ERIC’s list. All of these lists are education-related. There is also an old archive of Listservs that contains links that are not in the new Archives. You can also Search the Listserv Archive. resources, and information on issues affecting K-12 teachers. The volume of messages is light. The Minnesota Education Yearbooks for 1998, 1999, 2000, 2001, 2002, and 2003 (released 1/30/04) on the status of K-12 education in the State of Minnesota. Authors: Peterson, K., Davison, M.L., Wahlstrom, K., Himes, J., Hjelseth, L., Ross, J., & Tucker, M.
A Few Weeks in Summer: Post-summer School Achievement Among State-funded Students Who Do Not Initially Pass Minnesota’s High School Graduation Test. Authors: Davison, M.L., Schleisman, J.L., Koeppen, L., Wu, Y-C., & Kwak, N.
The Best Practices pages, which contain information on current educational practices throughout the State of Minnesota and the nation. A page listing electronic mailing lists. Higher Education Resource Group information and contacts. The primary responsibility of the higher education resource group will be to serve as advisors and consultants to Minnesota K-12 schools on issues having to do with educational assessment and accountability. Links to Minnesota Department of Education Web pages: Data Center, which contains links to data files on enrollments, fall populations, graduates, dropouts, completion studies, teaching staff, student mobility, attendance, nonpublic enrollments, average daily membership, and languages. Other district-level information is also available, relating to district funding and payment reports. Links to websites where you can find current listings for teaching positions and administrative positions. 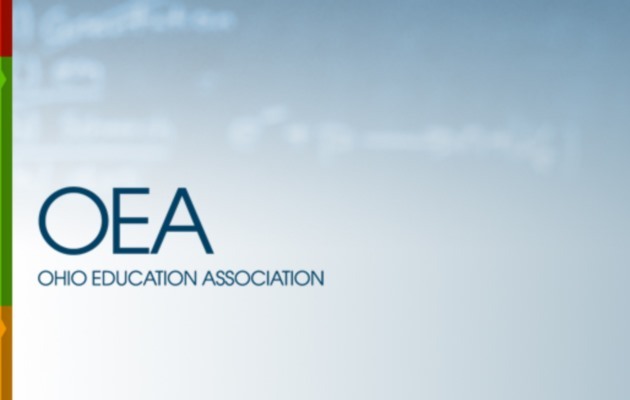 Please also take a look at the OEA’s mission, goals, and functions. We hope that you will find this Web site useful, whether you are a parent, a teacher, an administrator, a policymaker, or a concerned individual. We welcome your comments, and hope that you will use our Feedback Form to communicate with us.